GlassHouse were recently invited by the Norfolk and Norwich Festival to attend the Outdoor Lab Experience held by Cratère Surfaces an International Outdoor Festival in Alès, France. It was an amazing experience that allowed Sarah and I some valuable reflection time. The Outdoor Lab Experience or OLE was aimed at emerging artists or established artists who are new to working in outdoor environments. France has a long and established history of creating work for the street and as such are remarkably creative and dynamic. Famous French street artists have created unforgettable images, invested in places that had previously been inaccessible and fired up the imagination of generations of spectators and artists too. We were lucky enough to be invited along with other artists from various backgrounds and artforms from all over Europe and further afield. We were invited to watch and study various performances within a festival context, from the perspective of an audience member, keeping the professional critical sense in mind. What are the codes? How do you address the audience, and to what effect? What are the pitfalls ? We had the opportunity to meet other experienced artists, producers and promoters to discuss the process of making work for outdoor environments which really helped to refine our thought process. It wasn’t all work though! 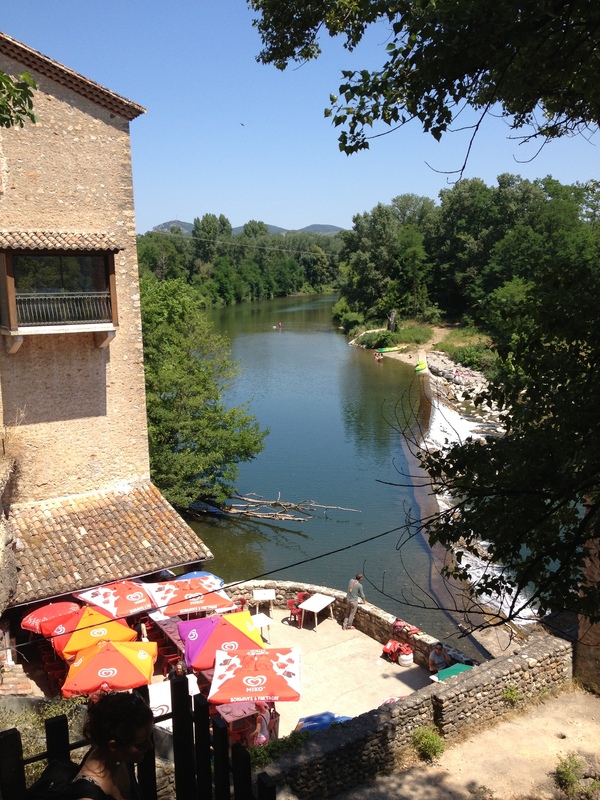 The festival provided cultural excursions, typically long French dinner discussions and even a post-lunch dip in a local river which offered welcome relief from the hot sun. Sarah and I returned from the trip fired up and inspired to create our new work. Keep your eyes peeled for news of our next creation!